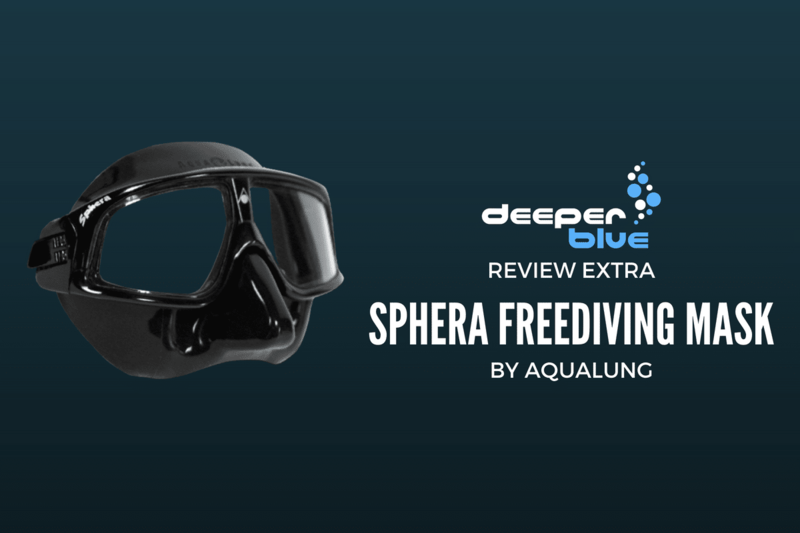 I have seen the Aqualung Sphera mask on freedivers of all different levels, including instructors and underwater models, so when it came time for me to upgrade my mask, I tried the Sphera in water first, and then purchased my own.  As an AIDA Freediving Instructor, the Aqualung Sphera makes my job much easier. The Sphera is one of the lowest-volume masks in the market, making it easy for me to follow students to depth and not worry about equalizing my mask frequently. The Plexisol lenses that provide 100% UVA and UVB protection are also very useful to me in my line of work since I spend a great deal of time at the surface speaking to students. 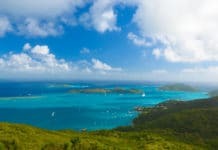 Having curved lenses is an excellent benefit, especially having a 180-degree field of view while working with students. 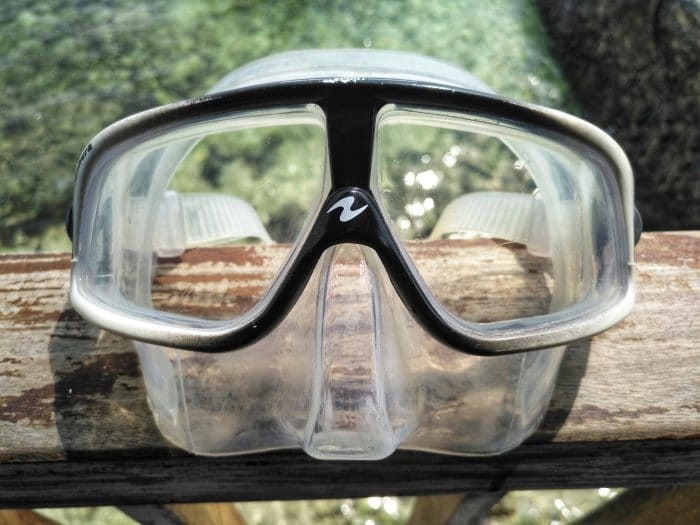 Even for snorkeling and scuba diving, the Sphera allows me to see much more than a traditional freediving mask. What you see underwater with the Sphera is true to size and not magnified as with masks that contain glass lenses, which makes training on a line and recreational diving much more comfortable and reassuring. Since I wear gloves while teaching, adjusting my mask can be seriously annoying. The Sphera has an easy-adjust buckle system that makes changing my the snugness of my mask quick and easy. Also, when I do not wear a hood and have my hair in a ponytail, stray hair does not get caught in the buckles, like it does with other masks. It is a very sleek-looking mask, and to this day, I have not seen a person that does not look good in it. There are a few different color options to choose from as well. Positives aside, there are some negatives with the Sphera. The curved lenses distort your vision, which can take some getting used to. 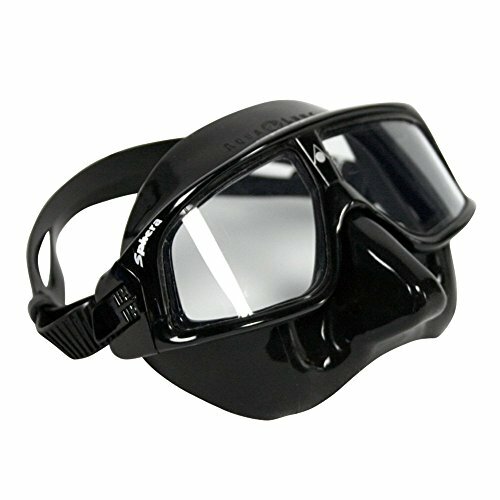 In my own experience, I noticed the distortion as soon as I switched masks in the middle of a diving session, but the very next time I got into the water with the Sphera, I was already used to the change in vision and preferred it. Some people may never get used to it, which is why it is always best to try it in the water before buying it. 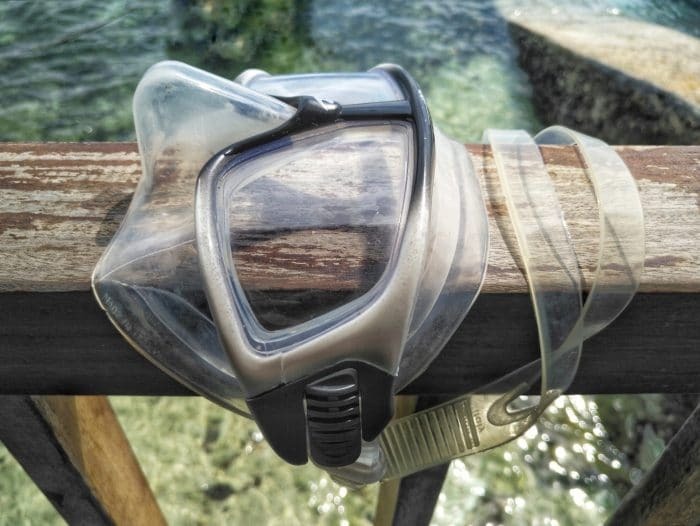 The Sphera is also designed for smaller noses and is especially popular in Asian countries, so divers with larger noses may need to look for a different mask. 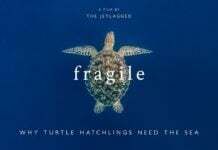 Due to the plastic lenses, extra care needs to be taken when handling and storing the Sphera, as it will get easily scratched otherwise. 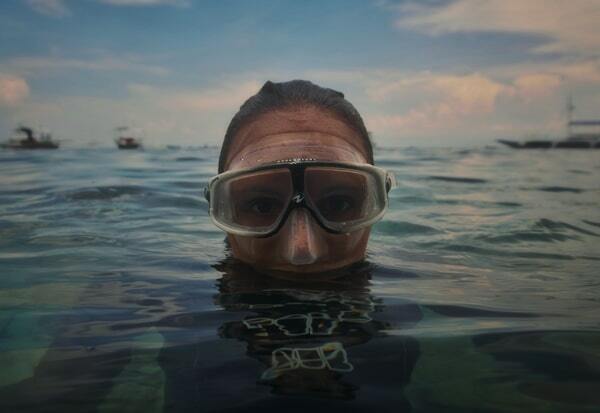 I urge buyers to try the mask on in the water before purchasing to make sure that it fits your face correctly, and also to confirm that the visual distortion will not become a problem for you. If you have an average or smaller-sized nose and can become used to the visual distortion of the curved lenses, you can really appreciate the super low-volume, 180-degree field of view, and sleek look of the Sphera.